A number of companies working on carbon conversion are now entering the market — or preparing to do so. 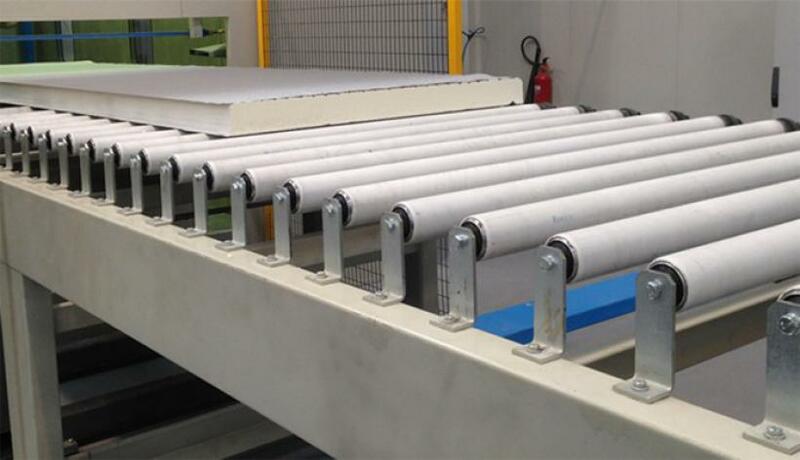 The materials produced include various forms of carbon such as graphene and carbon nanotubes, carbon additives to various polymers, sodium bicarbonate (baking soda), and calcium carbonate cement. 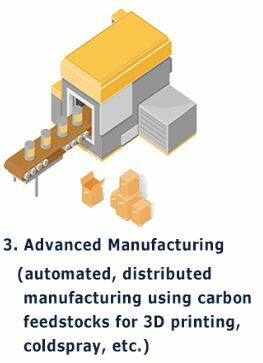 We’re especially interested in carbon materials that could be used in large quantities in major industries such as construction concrete, 3D printing if polymers (plastics), and transportation manufacturing (cars, planes, boats, trains, etc.). 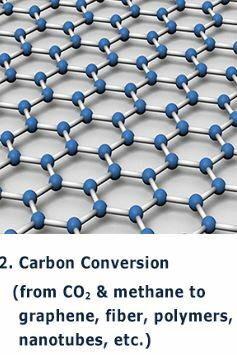 One of the most interesting technologies, now under development, converts CO2 into graphene, one of the thinnest materials known, at one atom thick (a million times thinner than a human hair), the strongest compound discovered (between 100-300 times stronger than steel), the lightest material known (with one square meter coming in at around 0.77 milligrams) and flexible. 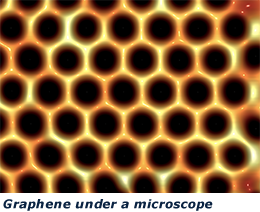 Graphene is also impermeable to molecules, and is extremely electrically and thermally conductive. Graphene enables electrons to flow much faster than silicon. It is also a transparent conductor, combining electrical and optical functionalities in an exceptional way. Graphene is available for chemical modification, with potential for a wide variety of applications, ranging from electronics to composite materials. 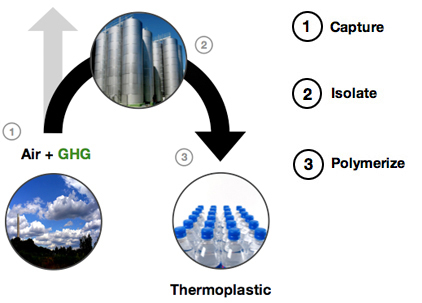 Using a proprietary catalyst, Converge polyols technology takes the greenhouse gas carbon dioxide (CO2) and combines it with abundant hydrocarbon feedstocks, to create high performing polyols for use in everyday applications: coatings for household appliances, consumer and industrial adhesives, insulation, automotive and medical applications, food packaging, and more. Containing up to 50% CO2 by mass, Converge polyols have a significantly reduced carbon and energy footprint. When compared to other conventional polyether and polyester polyols, Converge polyols have approximately one third the carbon footprint and an even greater reduction over acrylics, epoxies or conventional polycarbonate polyols. For example, Converge® polyols, containing up to 50% by weight waste CO2, are a key ingredient in the manufacturing of polyurethane foams, both rigid and flexible, commonly used in a wide variety of construction and comfort applications. These foams provide important performance characteristics such as thermal insulation, structural integrity, cushioning, or isolation from noise and vibration. Converge polyols provide a more sustainable option to conventional polyols, increasing mechanical strength, meeting strict flammability requirements, reducing flame retardant content, or providing a better balance of comfort and durability at the minimum density. Newlight has developed, patented, and commercialized a carbon capture technology that combines air with methane emissions to produce a plastic material called AirCarbon. By weight, in its most basic form, AirCarbon is approximately 40% oxygen from air and 60% carbon and hydrogen from captured carbon emissions. 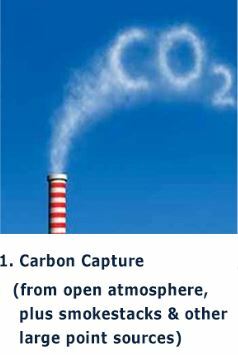 Due to the high heat-trapping potential and superior thermodynamics of methane compared to carbon dioxide, the company’s primary focus is on sequestering methane-based greenhouse gases, which have over 20 times the heat-trapping impact of carbon dioxide (20 carbon dioxide capture plants would be needed to match the impact of 1 methane capture plant). Newlight is now using the company’s greenhouse gas-to-plastic bioconversion technology to produce plastics from air and methane-containing greenhouse gas emissions generated at a farm. Carbonfree Chemicals’ technology converts carbon emissions from flue gases into chemicals that can be used in many industries. CO2 emissions can be captured and stored as carbon-negative products, such as sodium bicarbonate (baking soda), while the plant also produces hydrochloric acid, caustic soda and household bleach. Located in San Antonio, Texas, Carbonfree Chemicals is expected to capture 75,000 tons annually of otherwise-emitted CO2 from the coal-fired Capitol Aggregates Cement plant, and offset another 225,000 tons of annual US CO2 emissions by shipping CO2-negative chemicals to market and displacing CO2-intensive products. The process also removes mercury, metals, sulfur dioxide, nitrogen oxides and particulate – and returns clean air and clean water. The SkyMine® process requires 30% less energy use to remove CO2 than the more common amine-based CO2 capture technology, which led to the US Department of Energy awards (2009-2010) of $28 million to develop this first commercial CO2-beneficial reuse SkyMine® commercial project. It was the largest grant of six carbon-reuse projects funded through the American Recovery and Reinvestment Act and the only one completed. More than 250 jobs were created during design and construction of the plant. During operation, there are permanent jobs at the plant and another 200+ permanent jobs in the local economy. Calera’s process for CO2 reduction involves the capture of CO2 gas from industrial emitting sources and converting the CO2 into a calcium carbonate cement system that’s used to make a variety of valuable products. Calera concentrates on the manufacture of building materials, particularly focusing on innovative board products from Calera’s novel cement system. Calera’s process removes CO2 from emitting sources by converting the gas into a solid form of calcium carbonate thereby permanently sequestering the CO2. The Calera process is unique with a CO2 capture and conversion technology that transforms CO2 into a profitable feedstock. Calera’s CO2 solution couples environmental sustainability with economic sustainability.